The uRaman-Module can be easily integrated in most major brands upright microscope (Nikon, Olympus, Leica, and Carl Zeiss). 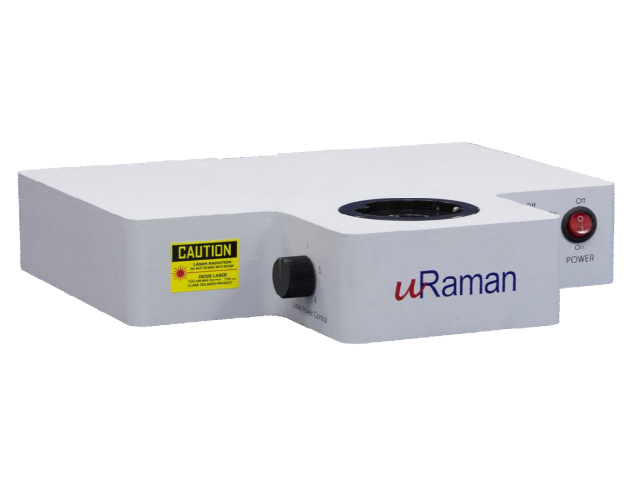 The uRaman is the state-of-the-art flexible Raman spectroscopy system. It offers high performance, ease of use and yet remains cost effective for tight budget users. The uRaman-Module can be easily integrated with most upright microscopes from the following brands: Nikon, Olympus, Leica, Carl Zeiss, etc. It can also possible to integrate with existing imaging setup, such as fluorescence microscopy, without affecting overall microscopy performance. Multiple modules, stackable to achieve dual or triple wavelength measurement. Check with our Application Scientist for compability of your microscope.